Admission to AIT Pune is on the basis of appearance in the Joint Entrance Exam (JEE) Main-2019. The candidate seeking admission to AIT are required to take JEE Main 2019. 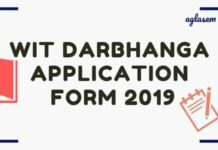 The application form of AIT Pune Admission 2019 is available now, and duly filled application form must be submitted by April, 25 2019 or with late fee of Rs 500/- by May 05, 2019. Filling up of both JEE Main 2019 Form and AIT Application Form is mandatory. Candidates failing to fill any one of these forms in time will be ineligible for admission to AIT. The Candidates can check more information about AIT Pune Admission 2019 like important dates, application form, eligibility criteria etc. on this page. Latest: The application form of AIT Pune Admission 2019 is available now. Click here to fill the same. Admission to AIT is on the basis of All India Rank obtained in the Joint Entrance Exam (JEE) Main – 2019. The AIT Application Form must be accompanied with a soft copy of JEE Main Admit Card/Hall Ticket. For more information about JEE main application forms and the information bulletin, candidates are advised to visit JEE (Main) website [email protected] Schedule for AIT Pune Admission 2019 is given below. AIT Application Form must state the JEE (Main) 2019 Roll Number. Absence of this important input may result in rejection of AIT Application Form. The Academic session for the First Year will commence immediately after the Admission. 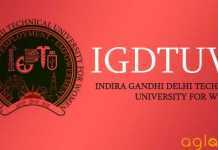 Last date for admission will be notified by the Savitribai Phule Pune University. The candidate must fulfil the age criteria requirements as per JEE Main 2019 i.e., candidates whose date of birth falls on or after 01 October 1993 are eligible. The date of birth recorded in the matriculation or equivalent (Class X) certificate or in the Secondary Education Board / University Certificate only will be accepted as proof of age. Children of serving Army personnel with a minimum of 10 years of continuous service in the Army. Children of ex Army personnel granted/ awarded regular pension, liberalized family pension, family pension or disability pension at the time of their superannuation, demise, discharge, release medical board/invalid medical board. This includes wards of recruits medically boarded out and granted disability pension. Children of ex Army personnel who have taken discharge or released after ten years of service. Note: Wards of personnel who are serving/have served only DSC/Assam Rifles /BSF/ Indian Navy/Indian Air force/GREF/Defence Civilians are not eligible for admission to AIT. Children of APS personnel classified as ex-servicemen as per Govt of India, Ministry of Defence letter No 9 (52)/88/D(Res) dated 19 Jul 89. Children of that APS personnel who are on deputation and who have put in 10 years of service in the Army. Children of APS personnel, who are directly recruited into APS who have competed for 10 years of service and of those who as per their terms and conditions of service, retired from APS without reversion to P&T Department after completing their minimum pensionable service of which 10 years was in the Army. Children of only those members of MNS who have 10 years service as regular members of MNS or are in receipt of a pension from the Army. Those children who are NOT included in one of the categories i.e. “Mandatory Eligibility Requirement” or “Eligibility for Admission to AIT” above. A candidate who has passed any examination of a Statutory University recognised as equivalent to the corresponding examination of Savitribai Phule Pune University shall not be permitted to appear for that examination with the same subjects i.e., candidate who has completed First Year engineering from any Institute throughout the country is NOT eligible for re-admission in First Year Engineering at AIT. The applicant must have passed the (10+2) CBSE exam or the Indian School Certificate (10+2 or XII) ISC exam or its equivalent Higher Secondary (Std XII) Certificate Exam from a recognised Board/University with English, Physics and Maths as compulsory subjects. The candidate must have passed/appeared Class XII or equivalent with compulsory subjects as Physics and Mathematics along with one of the Chemistry / Biotechnology / Biology / Technical Vocational Subject*. Candidate should obtain at least 50% in the above combination subjects. This is subject to directions from AICTE / Government of Maharashtra/ Savitribai Phule Pune University. To apply for AIT Pune Admission, the candidate has to appear for the JEE Exam. The candidate can apply in two attempts, one is for January 2019 and the other is in April 2019. Filling up of both JEE Main 2019 Form and AIT Application Form is mandatory. Candidates failing to fill any one of these forms in time will be ineligible for admission to AIT. Application Fee: Application fee of Rs 550/- can be paid through credit/debit card or net banking. Cost of application form will not be refunded. All details on the form must be completed in full. Applicants should mention their contact telephone numbers (Mobile as well as civil/landline) and email ID at the appropriate place for future communication. Signature of the candidate should be uploaded at the appropriate place on the Application Form. Latest passport size photograph should be uploaded along with the Application Form. AIT admission is based on the All India Ranking obtained in the Joint Entrance Exam (JEE (Main) 2019). All applicants are therefore required to appear in JEE Main 2019 and also apply to AIT for Admission. Failing to fill up any one of the forms will lead to rejection of admission to AIT. AIT Pune will release AIT provisional merit list on the official website. 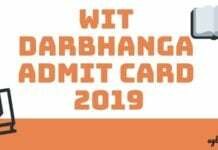 The final AIT Merit List will then be made after weightage has been given to the affected candidates. If after award of ‘Weightage Marks’, two or more candidates secure the same marks, the inter-se merit of these candidates will be based on their earlier JEE Main Rank. Candidates can check and download it from the official website OR through the direct link which will be provided below. AIT Pune will release the provisional branch allotment list for first year admission 2019-20. Candidates will be able to check it from the link that will be given below. Candidates who have reserved their seats and couldn’t get their first/second/third choice in the first round will also be considered for up gradation in the second round, based on the order of choice given. Branch of Engineering would be allotted taking into consideration the order of merit of the candidate, available vacancies and choice of branch indicated by the candidate while filling-up the Admission Form at the time of Admission. Candidates are advised to fill in their choice of branch in the admission form as per their desire/preference even if there is no vacancy in that branch at that time. Choice mentioned in the admission form will form the basis for re-allotment/re-adjustment of branch subsequently due to withdrawal/failure of some candidates to join AIT within the stipulated time. Joining Instructions or when specifically called for admission will lose claim to his/her merit. However, in case such a candidate presents himself/herself at a later time but during the admission process, a seat, if still vacant at that point of time, will be allotted to the said candidate. The merit of such a candidate will stand relegated to one below the seat last allotted. A candidate who presents himself/herself on admission day and refuses to take admission on being offered a seat will NOT be given another chance. The candidate must personally be present at the time of Admission. A candidate, however, may be represented by his/her parents or a representative (with an authority letter from parents concerned) only in case it is not possible for him / her to be personally present due to medical reason. However, failure of a candidate to physically report to AIT on the date/time specified after grant of admission will result in cancellation of admission without any warning/notice. Provisional Admission: On grant of provisional admission, the candidate must deposit all required documents, failing which admission will be cancelled. All admissions made by AIT are provisional. An admission will be considered final only when eligibility of the candidate is accepted by the Savitribai Phule Pune University. The branch of engineering, (according to the choice indicated by the candidate at the time of admission) will be allotted initially on the basis of AIT Merit on a provisional basis. Readjustment of branch during admission processes/ during the academic year 2019 – 2020 may be carried out later, subject to availability of seats again as per choice indicated by candidate in AIT Admission Form at the time of Admission. For more information regarding AIT Pune Admission 2019, candidates can Download Information Brochure. We offer Complete career guidance. We assist you in getting into top colleges in various parts of India.Complete assistance till you passout with distinction.